I have now graduated from the University of St Andrews. Four years living in the Auld Grey Toon have flown by, and I will be moving back to the United States. My time in Scotland has created some of my best memories, and I am glad that I could share many of them with you through Living As A Links Golfer. I plan to always return to St Andrews to see old friends and play the links that I have been lucky enough to call my “home course” for the past four years. In the near future this blog will be moving to graylynloomis.com. I am extremely excited about the move, as the new site will offer a much more visual, intuitive, and conversational way to share my golfing experiences from around the world. My new website will make it easier to search and browse for course and product reviews, and will also offer an exciting new way for any of you to share your favorite St Andrews experience as well. The new St Andrews section is full of local knowledge to help you plan your next golf trip to Scotland. I hope that you enjoy the new site even more than Living As A Links Golfer and please share it with your friends! 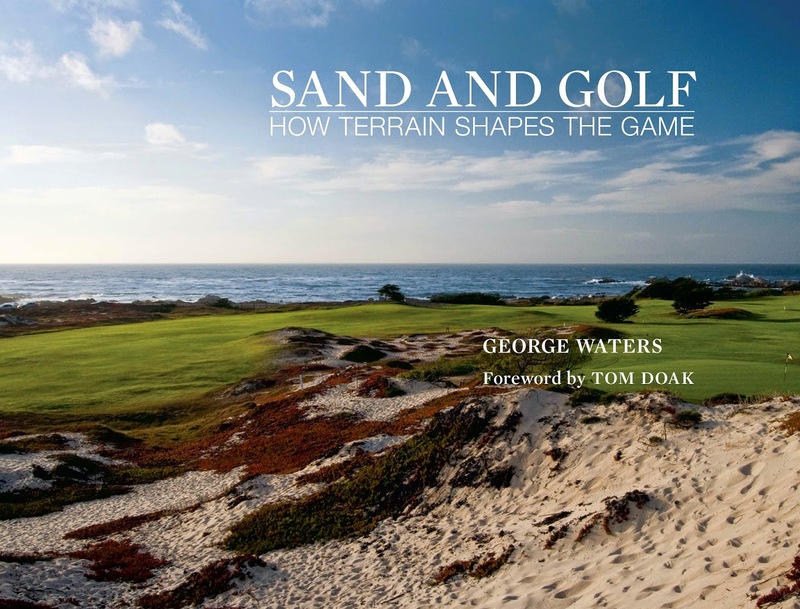 It has been great connecting with readers over the past few years and I am sure that the new website will continue to create enjoyment and interest in playing great golf courses. My latest trip to Cruden Bay cemented the course's position as one of my favorites in Scotland. My first visit to the course occurred during a jam-packed golf trip in my first year at the University of St Andrews. Visiting the course again was a must, and luckily during this latest round, I had a knowledgeable local to show me the ropes. Ruairidh MacDonald, of The Scottish Golf Podcast, took me out on the course and provided the crucial local knowledge that was missing during my first visit. The charm of Cruden Bay begins upon entering the clubhouse. A warm welcome is received and the view from the main bar area immediately comes into sight. 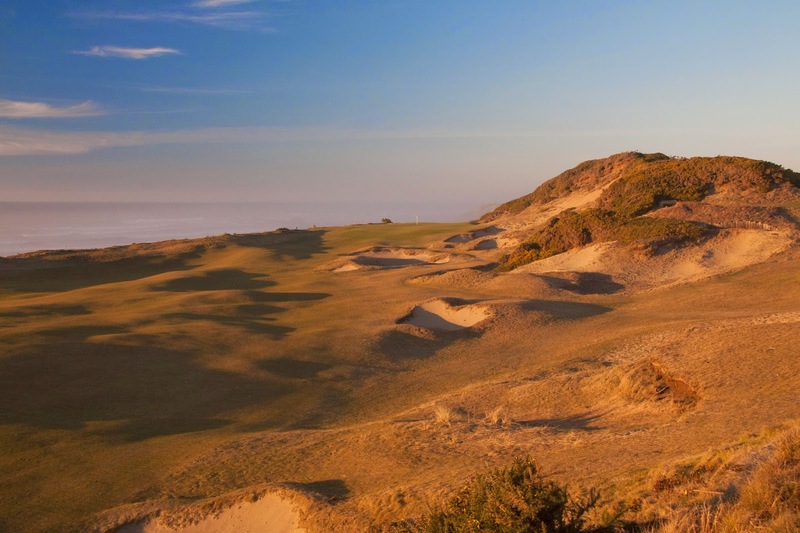 The 180-degree view of the links land is breathtaking, and many holes can be seen tucked amidst the massive dunes between the clubhouse and beach. It is one of the best clubhouse views that I have seen in Scotland, and a post round pint thinking back over the round should be compulsory when visiting Cruden Bay. I took an early morning train to Aberdeen from St Andrews, and a 30-minute car ride later, we were walking into the Cruden Bay Pro Shop. The course embodies so much of what I love about Scottish links golf. 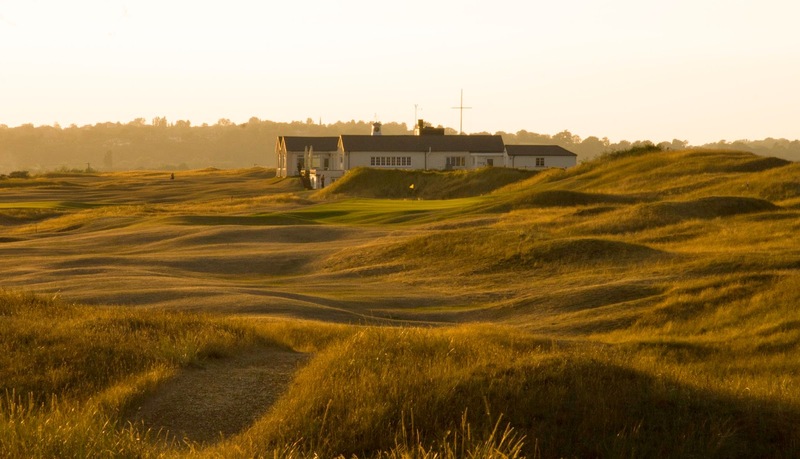 The Old Tom Morris design was opened in 1899, but there is evidence of golf being played across the land much earlier. 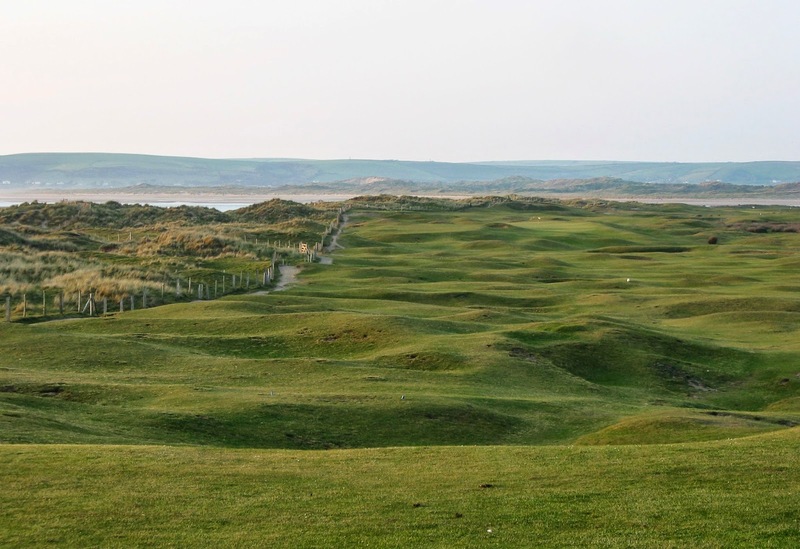 Cruden Bay features giant dunes, incredible views, strong holes, and most importantly, is extremely fun to play. World class links golf holes like the 4th and 6th are intertwined with the height of unique quirkiness featured at the 14th and 15th. When the round is finished, you find yourself desperately longing to go back out and play a few more holes. The first hole eases golfers into the round at Cruden Bay. The key is to stay on the left half of the fairway with thick rough and a bunker guarding right. The course begins to expose a bit of its quirkiness on the 2nd hole. An iron down the left side of the fairway avoids the right hand bunkers and sets up a full shot into the elevated green. A marker post creates an aiming point on the drivable 3rd hole. The green, hidden below the fairway and slightly behind a hill, is not visible from the tee. The photo above is taken from just beyond the marker post. The 4th hole at Cruden Bay is one of the best links par 3s that I have played. The green is set into the dunes, and the scene is breathtaking. Click on the photo to see a larger version that provides much fuller detail. Both the 6th and 7th holes are nearly impossible to play well without having seen them before. An elevated tee shot on the 6th creates an intimidating view of a narrow fairway. It is only at the 130 yard marker that this green becomes visible. At the last moment, the hole twists left, exposing a beautiful raised green set into the dunes. The Bluidy Burn runs just in front of the green, and a single bunker snaps up any balls landing short of target. Only a marker pole on a dune provides a hint about where to hit this tee shot. A 230 yard shot on the marker post sets up the perfect approach shot. At the 150 yard marker, the hole takes an abrupt left, leaving a straight shot between the dunes to an elevated green. The green is very long, and distance control is crucial on the approach. The short par 4 8th is drivable for longer hitters, but accuracy is a must. Long grass and hills surround the green on this birdie hole. The downhill 10th hole requires accuracy with the drive, leaving a short iron into the bunkered green. Very long hitters should play a 3-wood or long iron to avoid the burn crossing the fairway 290+ yards from the tee. The approach shot to the 11th initially looks straightforward. The green is slightly raised, which creates runoff areas on all sides. It is only when looking from above or behind the green, as seen from the photo above, that the large set of bunkers back left of the green come into view. The initially harmless looking green provides a great challenge. Another blind approach shot is found at the par 5 13th. Long drives come up 50 yards short of the burn meandering through the fairway. Past the burn, a clear path leads to the hidden green, which sits at the base of a large hill. If a single hole were to sum up the quirkiness of Cruden Bay, the 14th would do it well. A cut off of the right hand bunker sets up the perfect angle into the green. The green is "sunken" and sits nearly 20 feet below the level of the fairway. In the past two years, the formally very steep front entrance to the green has been made less severe. The back of the green has also been extended. The 15th is another hole where success is dependent on having seen the hole before. It is a totally blind par 3 with a large hill between the tee and green. The green is fairly large, and the safe play is choosing the "middle of the green" line no matter where the pin is place. After finishing the hole, players must pull on a long rope attached to a bell on the other side of the hill to announce that the green is clear. The 18th hole isn't one of the strongest on the course, but it is still an enjoyable way to finish the round. The hole moves to the right, finishing on a very large green. Cruden Bay is ranked #79 in the World by GOLF Magazine. While the blind shots and course knowledge required to score well may frustrate first time visitors, it is upon returning to the course that its genius is exposed. Old Tom Morris's quote about Machrihanish comes to mind when thinking of Cruden Bay's natural setting and layout. "The Almighty had golf in his eye when he created this place." *There are a number of changes to the golf course being proposed to the Cruden Bay membership in the coming months. The 9th, 10th, and 16th holes could see major changes. The changes would be made by McKenzie & Ebert, who propose shifting the 10th fairway and green left of their current positions, and removing earth from the front of the 16th green, which would remove the blind aspect of the approach. The changes could be another blog post in themselves, so if you want to discuss them separately or would like photos of the proposal posters, just shoot me an email at livingasalinksgolfer@gmail.com. The St Andrews Jubilee course is my first choice for a quick afternoon round of golf. 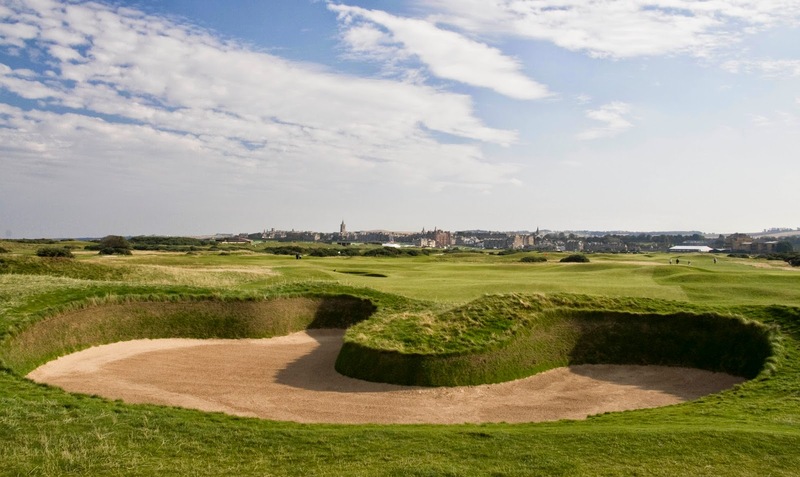 The course flies under the radar for many golfers visiting St Andrews, and for others, including locals, it has a fearsome reputation as the hardest track in town. The course is a favorite of the University of St Andrews Golf Club, which plays many of its team and club matches on the Jubilee. 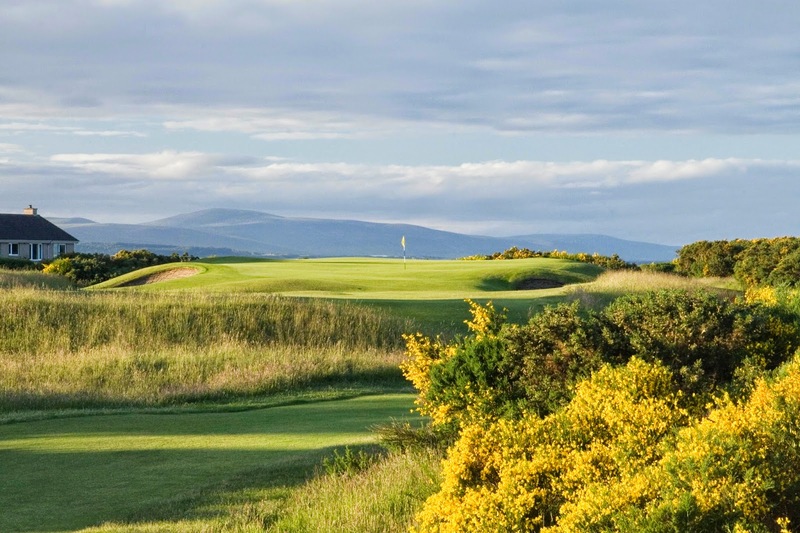 The course is a stern test of golf, and any golfer who can play to his handicap during a windy day on the Jubilee could hold their own anywhere. 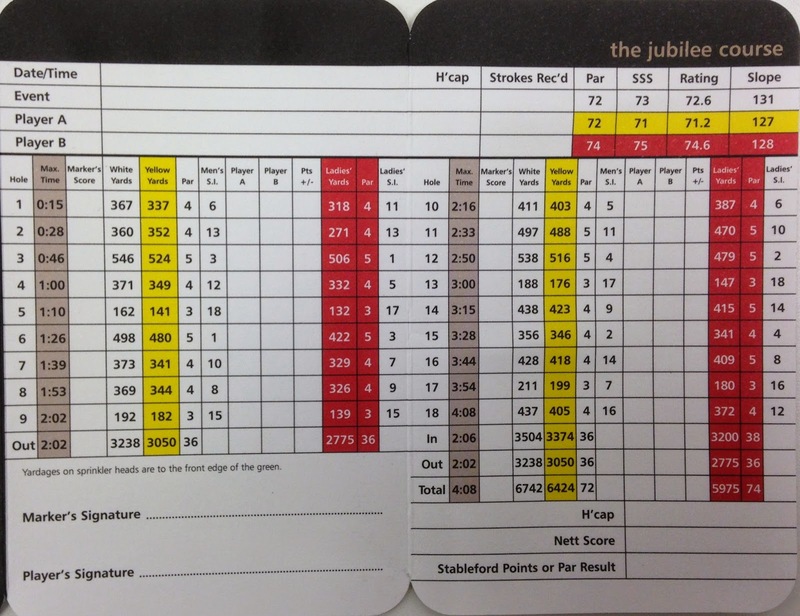 The Jubilee was first laid out as a 12-hole course for "beginners and lady golfers" in 1897, commemorating the Diamon Jubilee of Queen Victoria. The course was extended to 18 holes around 1900, and legendary local Willie Auchterlonie made a few changes nearly 50 years later. Donald Steel, who also worked extensively on the Eden Course, then made a complete overhaul to the course in 1988, which extended the course greatly in length and made it the difficult links known today. The opening hole presents a subtle challenge for golfers. A slope to the right of the green kicks everything to the left, and the rock hard links green doesn't hold aerial approach shots. A bunker short of the green and a hidden bunker behind the green make front right the safest area of the green. The dogleg left 16th has a blind tee shot. Anyone who hasn't played the hole would think they could cut the corner. You cannot cut much off of this corner. The smartest tee shots are draws starting down the center of the fairway. The 18th hole rounds out a string of 5 incredibly tough finishing holes. If you have managed to stay anywhere close to par coming into the 15th tee, hold on for dear life and grind out the final five. The 18th is a long and straight par 4. A heavily bunkered green causes many final hole bogies on the course. The St Andrews Jubilee Course often sits comparatively empty in the town. This makes it perfect for my late afternoon rounds after class, but it also means that the course is largely under appreciated. The challenging links is fair, and offers many memorable holes that will stick in your mind long after the round. If you make it to St Andrews and want to see just how good you really are, play the Jubilee in the summer with firm conditions and long rough.